After the most recent Adobe Flash issues, we can say that Flash is coming to an end. Even Google is going to stop accepting Flash ads by June 30th, which puts online marketers under pressure to find an alternative to save their businesses. For most of them this alternative will be HTML5. Many online businesses are weary when it comes to change, but with HTML5 there is nothing to fear. Steve Jobs himself wrote an article back in April 2010 on why he refused to use flash stating that “Flash is the number one reason macs crash”. HTML5 is really simple to understand. It was designed so that you didn’t have to be a programming expert to use it. Thanks to HTML5 web designers have the opportunity to use cleaner, neater codes. This will make digital marketing more accessible. One important feature of HTML5 is that is cross platform. This means it can be easily accessed on all devices including smartphones, tablets, computers and even smart TVs. Since users can view your business on all devices, this will provide a continuous experience for customers and more opportunities for you too. The HTML5 allows the user to have a stronger interaction with your content. Instead of just looking at it, HTML5 gives you more opportunities than flash ever could providing your customers with a seamless, more enjoyable and worthwhile experience with your business. No more “Adobe Flash plugin has crashed” messages again. As well as this, HTML5 provides high resolution images and it allows you to zoom in and out which is important for smartphones as the screens are so small. This will allow your users to interact with your business successfully and increase the use of your publications. If your business has no structure online, it will not achieve a good rank within the search engines. 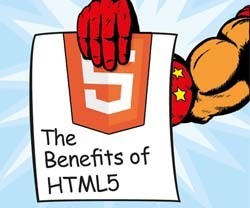 HTML5 is more SEO friendly than Flash, making it easier for searchbots to index all your content. But not only that, HTML5 provides a wide range of design and presentation tools to develop digital publishing products and produce better sites too. It can really help you stand out from your competitors thanks to features such as creating an app-like experience on the mobile browser. HTML5 is built to look more like apps on mobile browsers by being able to scroll, navigate, swipe and zoom like they would in an app without having to download anything. Most importantly, HTML5 makes it easier to target users with promotions or different offers by showing banners on the mobile. All of these factors add to the success digital publishing with the use of HTML5, a much more versatile and safe format than flash. Do you want more information on HTML5? Take a look at one of our previous blogs on digital publishing with HTML5.